An incredibly prolific bloomer, this compact pink is great for pots and sunny borders, but it will also work well in an alpine bed or rockery. 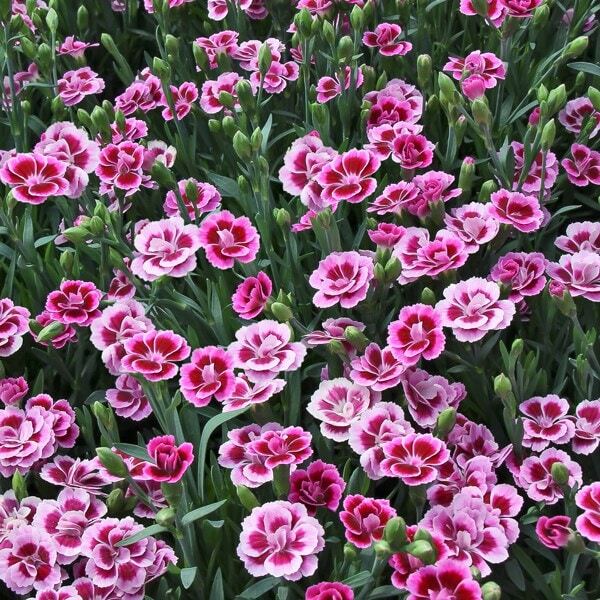 The lightly scented flowers are initially quite rich in colour, but as they age, the outer edge of each petal fades to a softer pink (almost blush), and this creates a distinctive two-tone effect. This little gem thrives in a sunny spot, and if you keep on dead-heading, it will continue sending up more and more flowers. The pot shown is not included, however, if you wish to pot yours up, we do have a wide range of pots on our website to choose from. Garden care: Incorporate lots of well-rotted manure or garden compost into the planting hole. Apply a balanced fertiliser in spring and deadhead to prolong flowering. Flowers in abundance from end of April in my garden. I've kept it in a pot this year but will put it into the beds in the autum. 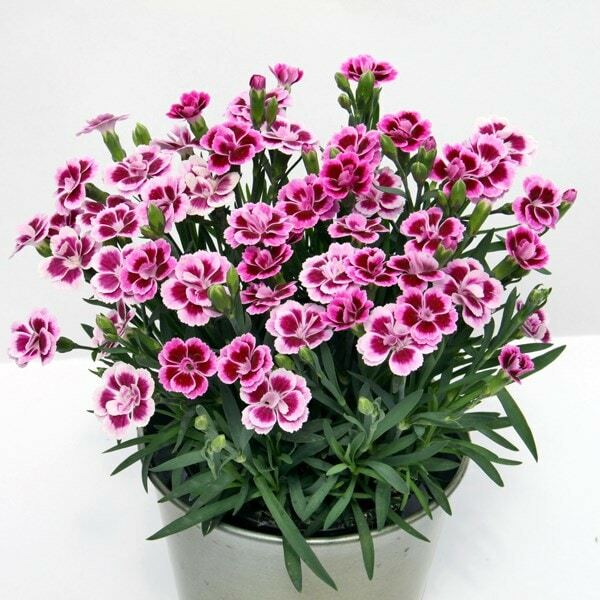 Excellent value for money given its flowering period and that it is so easy to look after. 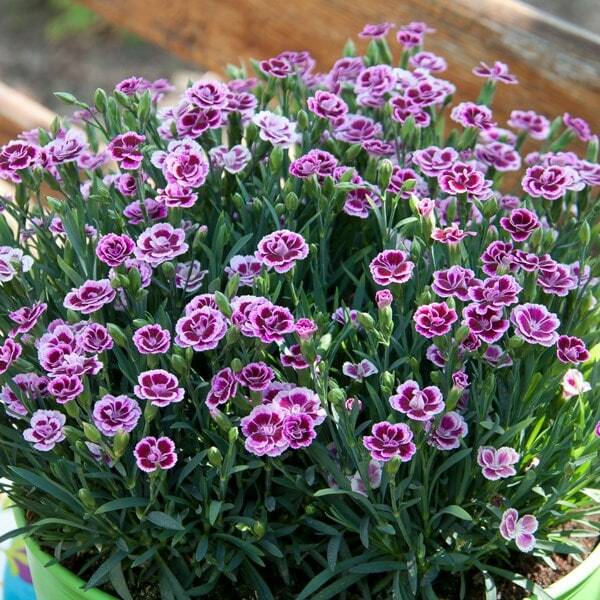 This is a lovely little plant: fragrant, trouble free and compact with that gorgeous smell of cloves that I so love dianthus for. It goes beautifully with my roses and flowers its heart out over a long period. 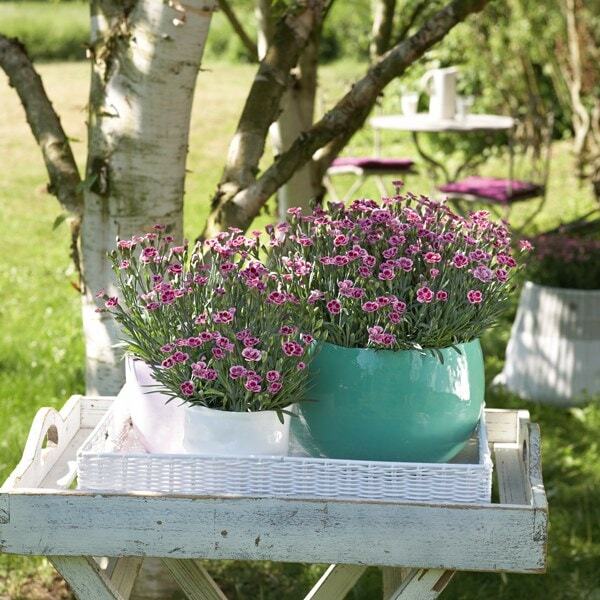 Be aware that the flowers are very small, but for a small garden this is the perfect variety - and no staking.